Today’s post features excerpts from 10 Core Practices for Better Writing. These excerpts are from “Chapter Five: Skills.” Enjoy! When we talk about writing skills, we usually think of the basics: the ability to write sentences and paragraphs correctly with proper grammar, spelling, and punctuation. But a lot more than that goes into writing well. Ambitious writers strive to consistently produce better writing. We study the rules of grammar, spelling, and punctuation, and we work at expanding our vocabularies. We memorize literary devices and storytelling techniques. We develop a distinct voice. There’s a lot to learn, but over time, we learn to write prose and verse that captivates readers. From learning how to comprehensively use tools, like writing software, to mastering concepts that are specific to form and genre, a professional writer needs to build skills that go far beyond the basics. But the basics are where we begin.Ideally, every high school graduate would possess basic writing skills. Unfortunately, a lot of people enter college or the workforce without knowing the difference between they’re, their, and there. An astonishing number of smart or educated people don’t know the difference between an adverb and an adjective and can’t identify a subject or an object in a sentence. Plenty of people go through life never mastering these basics and that’s okay—because they’re not writers. It’s not that writers have to acquire knowledge of language and orthography that rivals that of lexicographers. But language is our primary tool and we should have a fundamental grasp of how it works and how to use it. Yet that basic understanding of language—a comprehensive working knowledge of grammar, spelling, and punctuation—coupled with the ability to write decent sentences and paragraphs are only the first skills that a writer acquires. Those skills are sufficient for beginner writing. When we want to move past the ability to write sufficiently and strive to write professionally and with excellence, we must acquire a broader set of writing skills. Nothing ruins a great story like weak words and poorly structured sentences that don’t make sense. Nothing derails a poem like poor word choices and clumsy rhymes. And nothing destroys a piece of creative nonfiction like a disorganized narrative. There are some elements of writing that must be developed over time and with practice. It’s difficult to know why one grammatically correct sentence simply sounds better than another or why one word works better than another word that has the same meaning. The ability to write the better sentence or choose the better word does not come from a book, the way grammar can come from a book. It comes with experience. With grammar, you can study the rules, memorize them, and then apply them to your writing almost immediately. The subtler aspects of writing can be learned, but they are usually learned over time through a combination of reading, studying the craft of writing, and practicing. But we can still develop these skills by training ourselves to watch for opportunities to experiment with them. 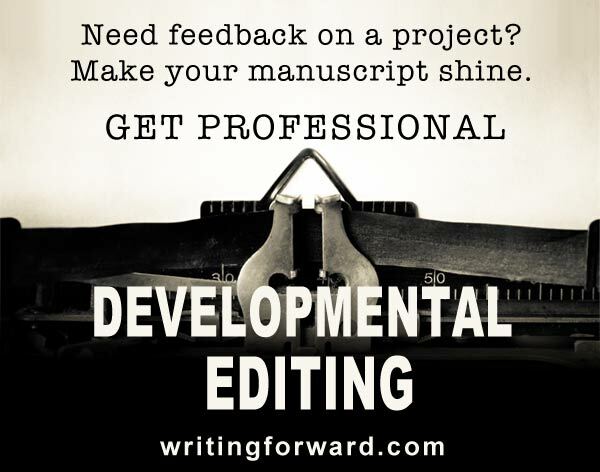 We can look for them in the works we read and the projects we’re writing. Word choice: Choosing the right words to describe what’s happening in a piece of writing can be challenging. The best words accurately capture the sentiment that the author is trying to convey. If something doesn’t sound right, if a word isn’t accurate or precise enough, then it needs to be replaced with a better word. Why refer to a “loud noise” when you can call it a roar, din, or commotion? The more specific the words are, the more easily readers will understand what you’re trying to communicate. Choose words that are as concise, precise, and vivid as possible. Vocabulary: Nothing makes a sentence sing like words that are clear, specific, and concrete. Expand your arsenal by building your vocabulary. Read a lot and look up words you don’t know. Peruse the dictionary. Sign up for a word-of-the-day newsletter. Keep a log of vocabulary words and spend a minute or two each day adding to it and studying your new words. Sentence structure: Sentence structure is even more critical than word choice. A weak word is like a missed beat, but a weak sentence is total discord. It breaks the flow, confuses readers, and pulls them out of the narrative. Read sentences aloud to see how they flow. Rhythm: Make sure to vary sentence length; when all your sentences are the same length, the writing drones on. Paragraph structure: Each paragraph contains a single idea. In fiction, each paragraph contains one character’s action and dialogue. Extremely long paragraphs tend to bore readers. If you write long paragraphs, try to alternate them with shorter paragraphs to give balance and rhythm to your structure. Transition: Sentences and paragraphs should flow seamlessly. If you must jump from one topic to another, use headings or transitional phrases to separate them. Place transitional phrases and sentences within chapters to move smoothly between scenes. Word repetition: Nothing deflates a piece of writing like the same descriptive word unnecessarily used over and over. She had a pretty smile. She wore a pretty dress. She lived in a pretty house. This kind of repetition robs a story of its imagery, making it two-dimensional. There are many ways to say that something or someone is pretty. Thesaurus: A thesaurus helps you build your vocabulary and provides a workaround for repetition. Some writers avoid using the thesaurus, believing that reliance on it constitutes some writerly weakness. But your job is not to be a dictionary or word bank; it’s knowing how to find the perfect words for your sentences. Concept repetition: Repetitive words are one problem; repetitive information is another—or it can be a good thing. Repeat concepts when you’re teaching because it promotes retention. But don’t tell the reader what day of the week it is three times in a single scene. Simplification: Run-on sentences and short sentences strung together with commas and conjunctions create a lot of dust and noise in a piece of writing. In most cases, simple, straightforward language helps bring the action or ideas to center stage. 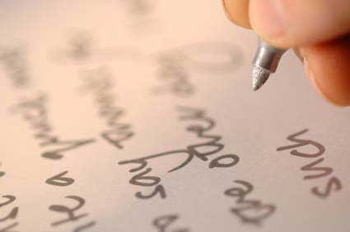 Concise writing: Concise writing is a matter of style, but it is overwhelmingly preferable for contemporary readers who don’t appreciate long passages of description or long-winded sentences and paragraphs that drone on and on. With concise writing, we say what absolutely needs to be said and we say it in as few words as possible, using the simplest and most direct language available. That does not mean the writing can’t have flair or be colorful. It certainly can! Shave off any excess and focus on the juicy bits. Organization: A poorly organized manuscript is a nightmare to read. Thoughts, ideas, and action need to flow logically. Similar ideas should be grouped together. Outlines are ideal for planning and organizing a complex piece of writing. Consistency: If you use italics for thought dialogue, always use italics for thought dialogue; don’t alternate between italics and quotation marks. If you use a serial comma in one sentence, use it in all sentences that could take a serial comma. Make sure your headings and titles have the same formatting. Be consistent! Literary devices: Some literary devices are particular to form and genre, but most can be used across all forms and genres. Literary devices range from techniques for making word choices (like alliteration or assonance) to methods for infusing prose with vivid imagery. Studying these devices and using them in your work will be a huge asset to your writing skills. Filler words: Filler words are vague, meaningless, and unnecessary. Consider the following examples: very skinny, really tired, just going to the store. Words like very, really, and just usually do nothing more than emphasize the words they modify. Remove filler words or replace them and the words they modify with single words that are more vivid: bony, exhausted, going to the store. Passive vs. active voice: Passive voice comes off sounding formal and old-fashioned. When used in contemporary dialogue, it can sound unnatural. In passive voice, we say The car was driven by her. Active voice is more natural and direct: She drove the car. When in doubt, go with active voice and use passive voice only if you have a good reason to do so. Filter words: A common bad habit in narrative writing is framing one action within another: He started walking or I thought the car was too fast. Characters don’t start walking: they walk. In first-person narrative, everything represents the narrator’s thoughts, so it’s sufficient to say the car was too fast; readers understand that this is the narrator’s thought. Redundancy: Redundancy is unnecessary repetition or stating the obvious. I suspect it occurs when we’re writing and trying to sort through our own thoughts, so we say the same thing in various ways. Here’s an example: I am taking my car to the shop tomorrow, so I won’t be able to go anywhere because my car will be in the shop. The sentence is redundant. Here’s a replacement sentence: I won’t be able to go anywhere tomorrow because my car will be in the shop. Formatting: A writer should know how to format a piece of writing—not just properly, but well. For example, we don’t use italics or quotation marks to tell readers where to place emphasis on words in a sentence. Pronouns: Make sure every pronoun is clear, so the reader knows what it represents. Don’t refer to this or that if they are abstract concepts. Don’t use he, she, him, or her three times in a sentence if two or more people or characters are in play. This chapter of 10 Core Practices for Better Writing goes on to look at skills of substance, software skills, and skills for published authors, and it touches on skills that are particular to form and genre. 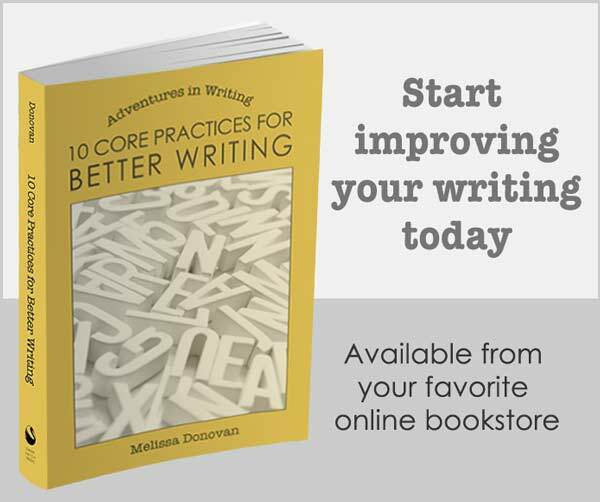 For more on how to develop your writing skills, pick up a copy of 10 Core Practices for Better Writing, available in paperback and ebook. One tip I learned a year or two after my first novel that’s always stuck with me is to lead sentences with action. I also do word replacement on revision to ditch the weak words for something much stronger or with more characterization. Thanks for the great post! Great tips, Robyn. I also look for opportunities to convert passive description into action. For example, I would change her quivering hands to her hands quivered. Weak words drive me crazy, which is why I have such great appreciation for the thesaurus. Thanks for reading and commenting! How can you be of help, please? Our daughter loves reading with a passion, and we discovered that she is good with her writing skills. We want her to improve in her writing skills and to get much more better in it. We have been on the lookout for creative writing clubs for her age. Please help. We don’t want this gift to die in her. Thanks. Hi Lola, I can’t advise, because I don’t know your daughter’s age, but you might want to look into the local schools and see if they offer creative writing courses or clubs. Sometimes community centers or camps offer creative writing for kids. You can also pick up creative writing books for kids or hire a tutor or coach. Good luck!